On this self-drive adventure you’ll explore the beauty of the American Southwest, and get a taste of the magnificent Rocky Mountains too. 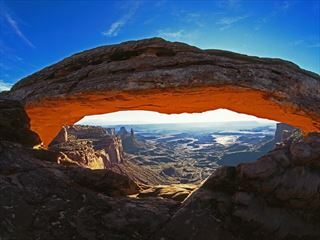 Look forward to glorious mountain scenery along with the chance to immerse yourself in the colorful landscapes of Utah’s legendary national parks, stand at the edge of the Grand Canyon, view ancient ruins, experience Native American culture and more. 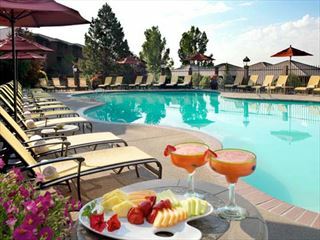 With spectacular views of Cheyenne Mountain and the Rockies as well as Colorado Springs, this lodge-style resort is ideally situated in the midst of one of America's great recreational regions and offers an ideal setting for rest and relaxation. 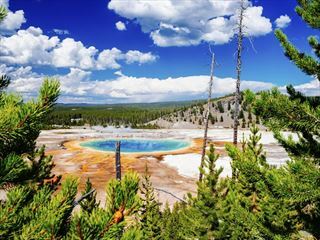 A wonderful self-drive tour including many of the world renowned national parks in America’s West - From Old Faithful in Yellowstone, colorful canyons and rock formations of Bryce Canyon, to the charming Indian villages of New Mexico. With 52 national parks, 80 vineyards, mild summers and spectacular landscape, ranching holidays in Colorado can be enjoyed all year round. 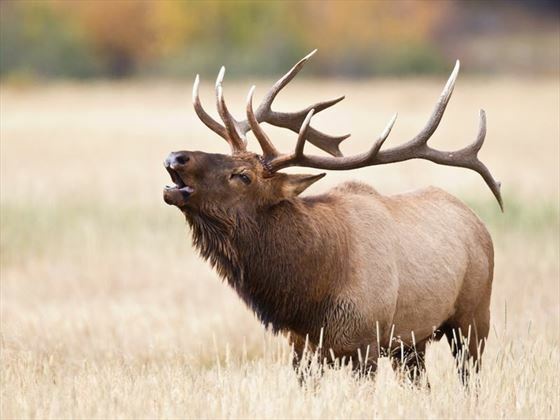 With a reputation for outstanding hiking, wildlife viewing and pony-trekking, Colorado holidays encapsulate a diversely outdoor, mountain lifestyle. Ranching holidays, either at a working ranch or a guest ranch, are amazing experiences that allow you to get up close and personal with the mountains of Colorado, cascading waterfalls and endless wilderness. Nothing will get you there quicker and more realistically than feeling the undulating landscape beneath the horse’s hooves, as it works its way over the terrain, so clutch the reins, tip your hat and spur your heels further up the trail. Guest ranches also offer a host of other activities and that include; fishing, hiking, rafting, clay shooting, rodeo, sightseeing tours and evening entertainment. 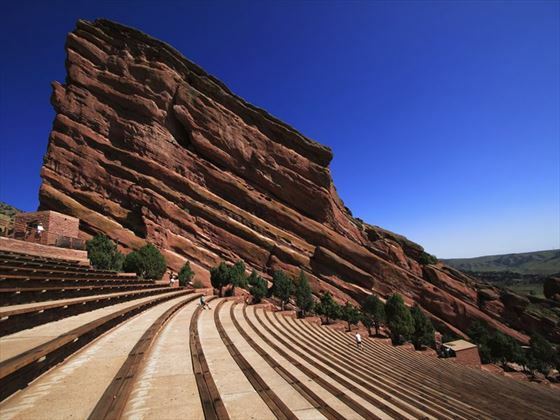 The historic city of Denver is steeped in Wild West history and is known as the gateway to Colorado. It is home to impressive modern arts and culture, wineries, and a myriad of attractions. 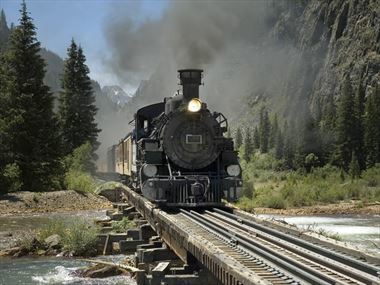 Colorado Railroad Museum tells the story of the railways in the history of the US. 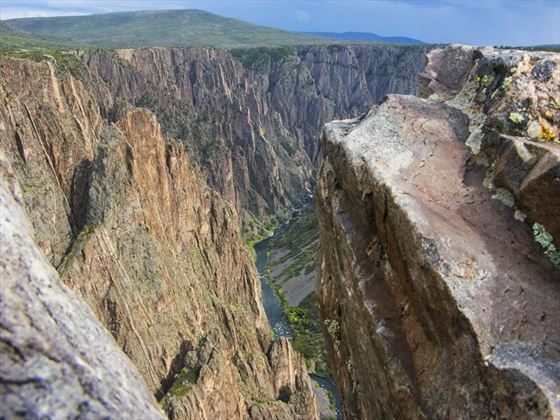 Royal Gorge Rafting, near Canyon City, offers amazing zip line rides through the treetops. Horse riding at Tumbling River Ranch in Denver allows guests to dive into an authentic Colorado experience. Holidays in Colorado enjoy the state’s varied seasonal climate due to varied terrain made up of mountains, foothills, high plains, and desert – each displaying a varied microclimate. Northeast, east, and southeast Colorado are mostly the high plains, while northern Colorado is a mix of high plains, foothills, and mountains. 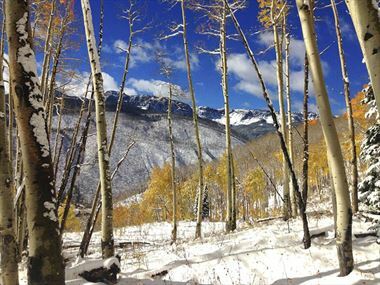 Colorado is one of the most beautiful mountainous states in the US. 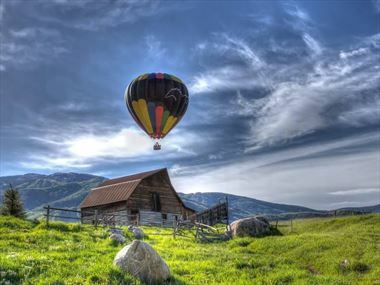 American Sky’s tours such as Rocky Mountain Frontiers, offers visitors the chance to see the very best scenic highlights that the state has to offer. 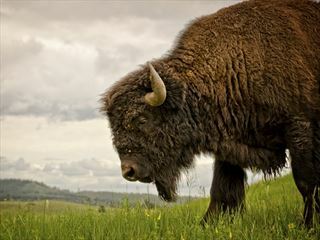 It begins in Denver and ends in LA, taking in the very best sights from Yellowstone to the Grand Canyon. 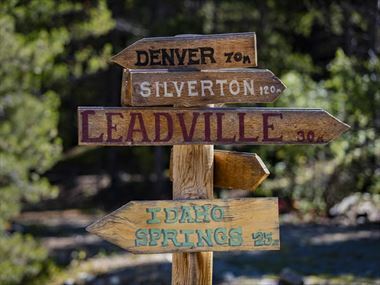 The seven-night Wild West Cowboys & Buffalos begins in Salt Lake City and ends in Utah taking in a horseshoe trail, covering surrounding states. 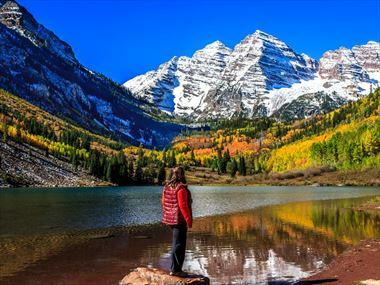 Whether you prefer self-drive or escorted tours, it is absolutely the very best way of soaking up the Rocky Mountains and majestic forestry that make Colorado so special. 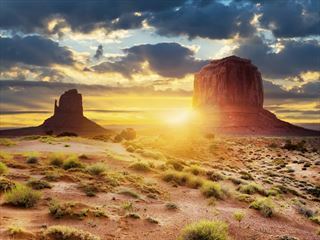 Wonders of the American West is a nine-night tour starting in Denver and ending with two nights at the Grand Canyon. 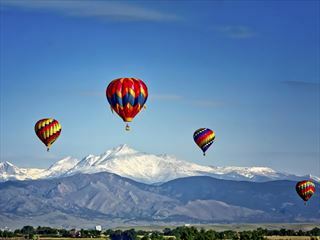 Planning your holiday to Colorado? 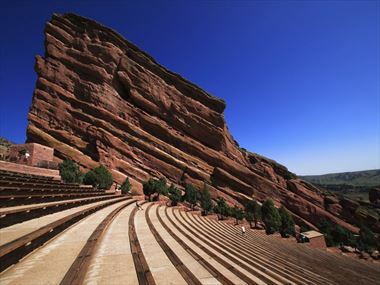 If you are planning a holiday to Colorado, American Sky IE can help you to organise your perfect holiday. Call our Colorado Specialists now. You are just one phone call away from making the most of your next holiday. 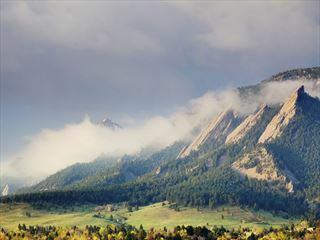 There are a wide variety of things to see and do whilst staying in Colorado. Check out our travel guides for some of the highlights, top tips and travel inspiration from our American Sky Experts, along with some essential information you may need for your holiday. Put on your hiking boots, it’s time for a dose of adrenaline. 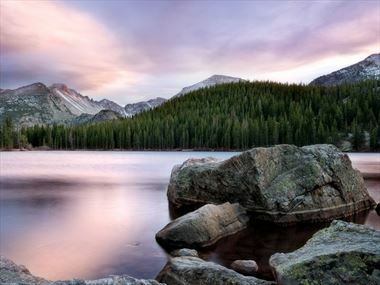 Colorado is full of amazing outdoor opportunities, and here are our favourites. Colorado boasts a landscape so uniquely diverse it captures the full range of the planet’s ecosystems and geography all in one breathtaking state-sized package. 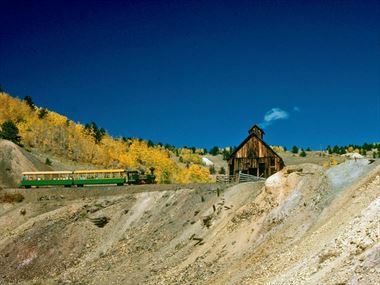 From gold panning and exploring old mines, to rich western history and Victoria homes...come and found out what makes these Colorado gold rush towns so fascinating. 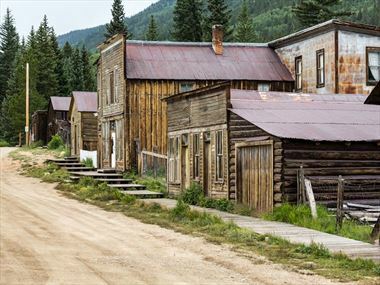 There are around 640 classic ghost towns with preserved remains which can be visited on a fascinating bone-chilling journey through Colorado’s Old West past. 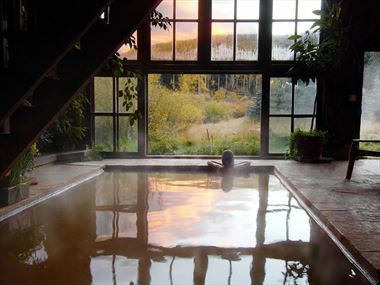 Reward yourself at the end of a day of play in the Colorado mountains with a soak in warm, geothermal waters surrounded by breathtaking scenery. 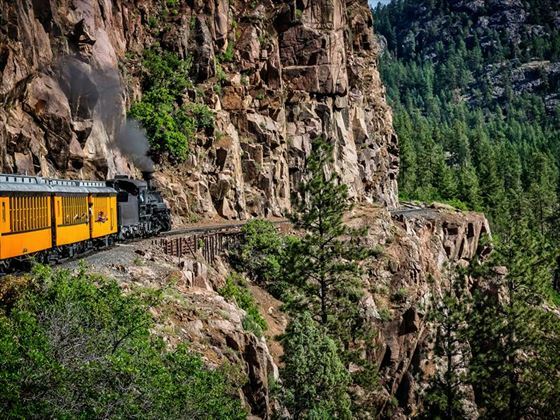 With majestic mountains and verdant valleys, canyons and red stone as far as the eye can see, there’s surely no shortage of things to do in Colorado. With numerous modernisations over the years, the magnificent amphitheatre has hosted some of the biggest names in music, including the Beatles, Jimi Hendrix and U2. 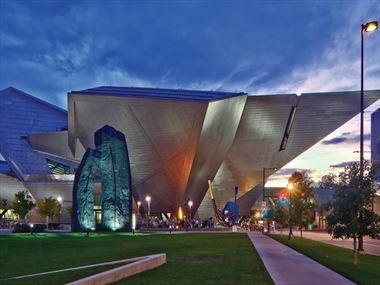 Denver is fast becoming one of America’s hippest cities, boasting a cool foodie and arts scene, whilst offering fun outdoor adventures and over 300 breweries. Check out our top 10 things to do in this trendy town. 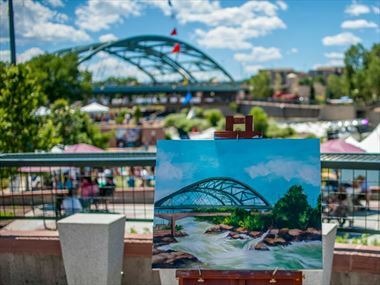 From old neighbourhoods well loved by jazz music greats and those with luxury boutiques, to neighbourhoods offering leisurely water sports and quirky pubs, Denver’s streets are filled with wonderful possibilities. 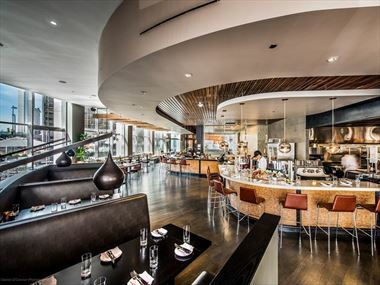 Offering innovative dishes created with unique flavours by wonderful master chefs, Denver’s fine dining foodie scene is a cut above the rest. 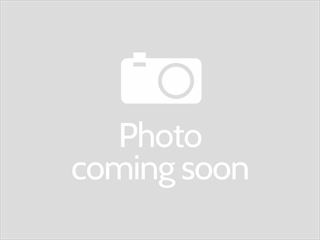 Come and check out our favourite restaurants for a bit of flavoursome inspiration.